It is not always easy getting to a farm that does something so right, and so good. We can help you with that. The demand for A2/A2 Jersey Cow Raw Milk is noticed not only by consumers, but dairy producers alike. Join our raw milk co-op and you can share the benefits of Grade "A" Jersey Cow A2/A2 Milk from Fayette County, Texas. Casein is the largest group of proteins in milk, making up about 80% of the total protein content. There are several types of casein in milk, and beta-casein is the second most common. Beta-casein exists in at least 13 different forms. A1 beta-casein: Milk from breeds of cows that originated in northern Europe is generally high in A1 beta-casein. A1 milk comes from breeds like the Holstein, Friesian, Ayrshire and British Shorthorn. A2 beta-casein: Milk that is high in A2 beta-casein is mainly found in breeds that originated in the Channel Islands and Southern France. This includes breeds like the Guernsey, Jersey, Charolais and Limousin. Regular milk contains both A1 and A2 beta-casein, but A2 milk contains only A2 beta-casein. Some studies indicate that A1 beta-casein may be harmful, and that A2 beta-casein is a safer choice. This is the reason for the "A1 vs A2" debate. Beta-casomorphin-7 (BCM-7) is the reason why regular milk is believed to be less healthy than A2 milk. BCM-7 is an opioid peptide that is released during the digestion of A1 beta-casein. A few research groups have suggested that BCM-7 may be harmful. While BCM-7 may affect the digestive system, it is not yet clear to what extent BCM-7 is absorbed intact into the blood. 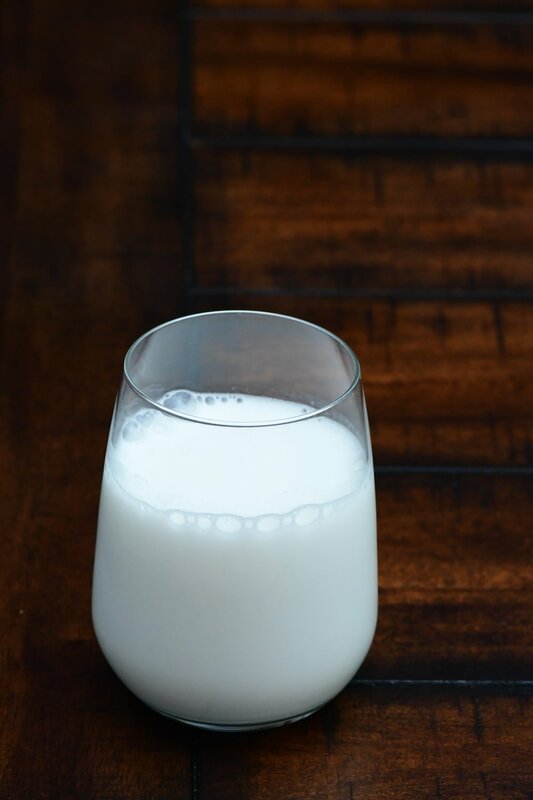 Studies have not found BCM-7 in the blood of healthy adults after drinking cow's milk, but a few studies indicate that BCM-7 may be present in infants. Several studies indicate that drinking A1 milk during childhood may increase the risk of type 1 diabetes. However, these studies are observational in nature. They cannot prove that A1 beta-casein caused type 1 diabetes, only that those who got more of it were at a higher risk of getting the disease. Two observational studies have linked the consumption of A1 milk with an increased risk of heart disease. This is supported by one experiment in rabbits. It showed that consuming A1 beta-casein promoted fat buildup in injured blood vessels. This buildup was much lower when the rabbits consumed A2 beta-casein. Fat accumulation may potentially clog blood vessels and cause heart disease. However, the human relevance of the results has been debated. Sudden infant death syndrome (SIDS) is the most common cause of death in infants less than one year of age. SIDS is defined as the unexpected death of an infant, without an apparent cause. Some researchers have speculated that BCM-7 may be involved in some cases of SIDS. One study found high levels of BCM-7 in the blood of infants who temporarily stopped breathing during sleep. This condition, known as sleep apnea, is linked to an increased risk of SIDS. These results indicate that some children may be sensitive to the A1 beta-casein found in cow's milk. In theory, peptides like BCM-7 might play a role in the development of autism. However, studies do not support all of the proposed mechanisms. One study of infants found higher levels of BCM-7 in those who were fed cow's milk, compared to those who were breastfed. However, levels of BCM-7 dropped quickly in some of the infants, whereas they remained high in others. For those who retained these high levels, BCM-7 was strongly associated with an impaired ability to plan and perform actions. Another study indicated that drinking cow's milk may worsen behavioral symptoms in autistic children. Lactose intolerance is defined as the inability to fully digest the sugar (lactose) found in milk. This is a common cause of bloating, gas, and diarrhea. The amount of lactose found in A1 and A2 milk is the same. However, some people feel that A2 milk causes less bloating than A1 milk. Supporting this, studies indicate that milk components other than lactose may cause digestive discomfort. Scientists have suggested that certain milk proteins may be responsible for some people's milk intolerance. One trial in 41 men and women showed that A1 milk may cause softer stools than A2 milk in some individuals. Additionally, studies in rodents indicate that A1 beta-casein may significantly increase inflammation in the digestive system. Raw milk must be purchased from the point of production in accordance with Texas State Laws. The Farm To Home Raw Milk Co-op collects your payment and then pre-pays for the milk. Once the milk has been pre-paid for, we pick up the milk and include it in your delivery for your order. As the co-op leader, we assume all driving responsibilities. Please fill out the registration form below to become a member, and then start enjoying the best Raw Jersey Cows Milk you’ve ever had. I (the above named) understand what Grade A Raw Milk is and any/all inherent risks of consuming unpasteurized milk. I attest I am a consenting adult 18 years of age or older. I express my consent to join the Farm To Home Raw Milk Co-op. Thank you for joining our milk co-op! Click here to place your first milk order!